The debut novel by Pete Townshend, one of the world's greatest rock stars. 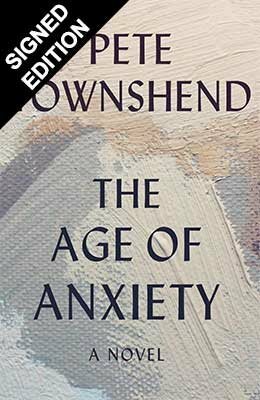 The Age of Anxiety is a great rock novel, but that is one of the less important things about it. The narrator is a brilliant creation - cultured, witty and unreliable. The novel captures the craziness of the music business and displays Pete Townshend's sly sense of humour and sharp ear for dialogue. First conceived as an opera, The Age of Anxiety deals with mythic and operatic themes including a maze, divine madness and long-lost children. Hallucinations and soundscapes haunt this novel, which on one level is an extended meditation on manic genius and the dark art of creativity.